I grew up hearing about my parents’ love story. How he’d fought for her when she’d refused to fight for herself. The way she’d fought for him when she’d feared that all was lost. But for some reason, I’d always imagined that my love story would be different. That it would be easy. I’d loved him since the very beginning. Even when he wasn’t mine to love. I’m surprised at seeing a lot of 3 star reviews for this book on Goodreads. It was a little different to some of the other books within this series but I thought it was just as good if not better. 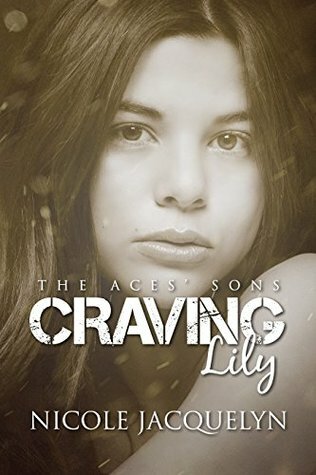 I love Nicole’s books and Craving Lily was no different. You can’t help but love both Leo and Lily. I just wanted them to have their HEA. Once I started this book I couldn’t put it down. I enjoy hearing about previous characters and how there story is continuing. Their story was hard and sweet, this is a perfect combination in a MC romance in my opinion.